The web server used by Changes-challenges.org is located near the city of Scottsdale, USA and is run by GoDaddy.com, LLC. 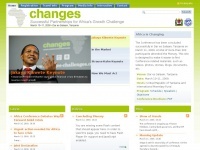 The website Changes-challenges.org has a own web server. The web server only runs this website.